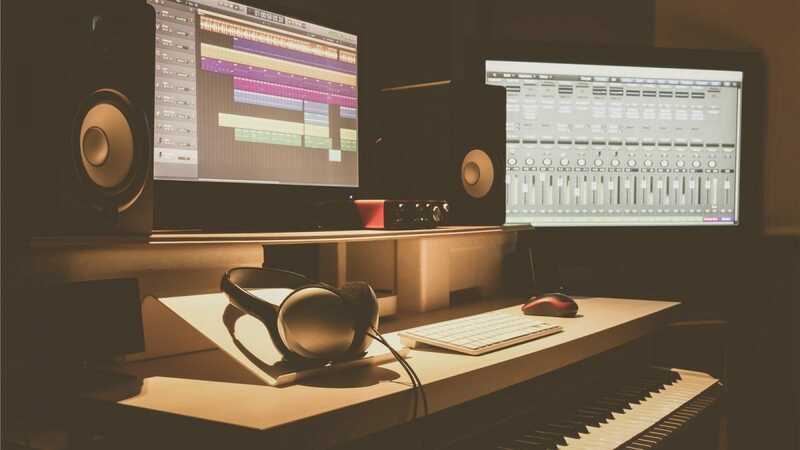 If you’re looking to get into music recording, you’re going to need a good DAW—or Digital Audio Workstation. There’s no shortage of choices, so here’s a look at some of the best options for Windows to get you going. Like most software, the amount of stable software and useful features you get will be dictated by the amount you’re willing to pay in most cases. There are definitely some good options available for cheap (or even free!) 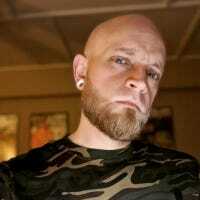 if you don’t require a lot of your DAW. Just keep in mind that the more advanced you get, you may soon outgrow the more affordable options. The good news is we have options for everyone. Let’s get to it! If you’re just getting started or don’t need a lot of bells and whistles for your recordings, then Pro Tools First is a great way to get started. It has most of the power and flexibility of our Best Premium pick—Pro Tools—but is offered completely for free. While it may not offer all the features you’ll find in its bigger (and far pricier) brothers, Pro Tools First is no slouch when it comes to home recording. It features up to 16 simultaneous audio tracks with support for four inputs, making it a great choice for capturing an instrument or two, vocals, or even both. For a full comparison of what Pro Tools First offers compared to Pro Tools and Pro Tools Ultimate, head here. You’ll need to sign up for an Avid account to download Pro Tools Free, but you can get started with that by heading here. If you’ve looked into recording software at any point, you’ve probably heard of Audicity. For good reason: it’s free, open source, and has been around for a long, long time. It isn’t nearly as powerful as the other options on this list, but if you just need something for simple recording or audio editing, it’s a great solution. If you’d prefer to stick with something open source but want a little more than what Audacity offers, then we highly recommend giving Ardour a go. 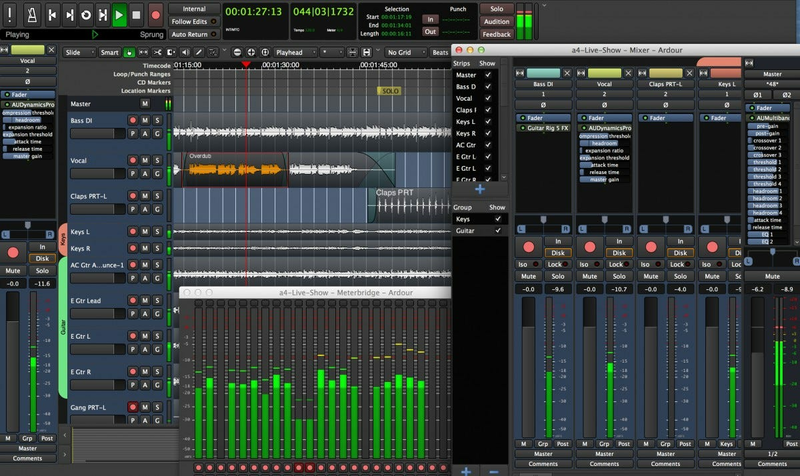 This full-featured audio workstation is chock-full of useful creation and editing features, comes with a zero-dollar price tag, and is completely open source. So if the open source scene is what interests you, both of these are very good options. We definitely recommend checking them both out to see which one best fits yours needs—since they’re both free, there’s no reason not to! 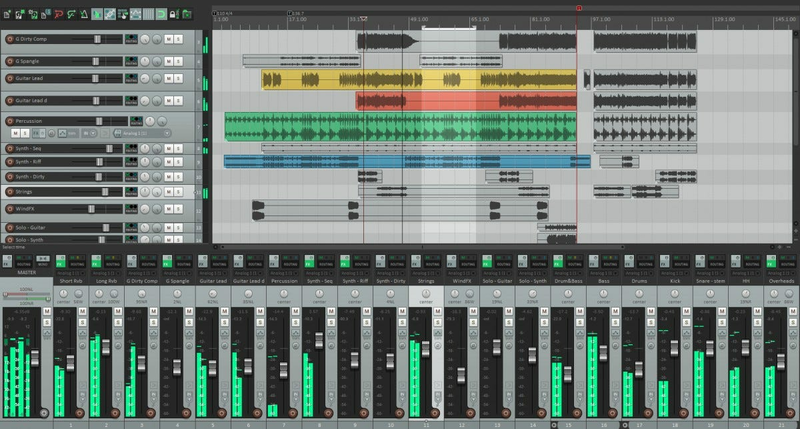 When it comes to getting the most bang for your buck out of a DAW, there’s pretty much no contest: Reaper is it. 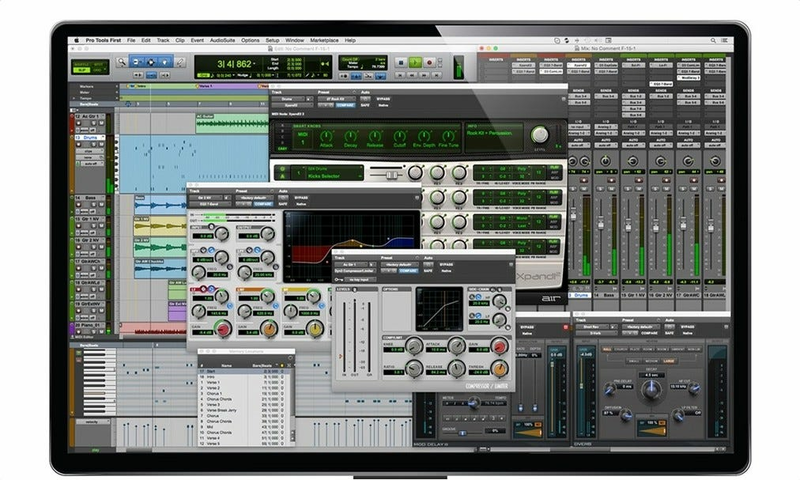 This ultra-powerful workstation ticks all the boxes to make it good enough for a pro studio to use, but it does it at a fraction of the cost: a $60 “discounted license” for home users and $225 if you’re using it to make money. There’s no difference between the builds, either. Reaper uses a very interesting model for its licensing, because it basically just asks you to be honest. You can give it a go for free, then when you’re ready, buy it. It’s up to you to specify which license you pay for—but the honor system is all based on users telling the truth, and it is how the company makes money. But if you’re just using it at home, makes less than $20k a year on your recordings, or are part of a non-profit (or educational system), you’re free to use the $60 version. That should cover…well, most of you. And it’s worth every penny. If you’re in the market for a DAW and want to start with the best you can get, it’s hard to overlook Pro Tools. It comes in two editions: “regular” Pro Tools and Pro Tools Ultimate. For the majority of users, the standard Pro Tools is probably more than enough—it’s insanely powerful and offers nearly-limitless possibilities. Only the most experienced and professional of users may want to consider the Ultimate Edition, but the odds are if you fall into that category then you’re already aware of what you need. If you’re on the fence between which one you want to pick up, you’ll want to check out the full comparison between all the versions of Pro Tools. The long and short is this: Pro Tools offers 128 tracks, 32 inputs, 60 plugins, and unlimited projects (stored in the cloud), while Pro Tools Ultimate gives users 256 tracks, 192 inputs, 100 plugins, and unlimited projects. Of course, the entry price to either platform is pretty steep. For Pro Tools you’re look at $25 a month with a one-year contract ($30/mo without) or a one-time fee of $600, which will get you one year of updates (after that you’ll need to re-up your subscription for $99 a year). Depending on how much you plan on using it, one of these options may ultimately be cheaper than the other. For Ultimate, you’re looking at a much higher price tag to get started: $999 for a one-year subscription, after which you’ll need to re-up (or just lose access to the software). Otherwise, you can shell out $2500 one-time and use it for life, though you’ll need to shell out $99 a year to continue to get software updates and support. While fairly pricey, Pro Tools has proven itself to be the best of the bunch time and time again. 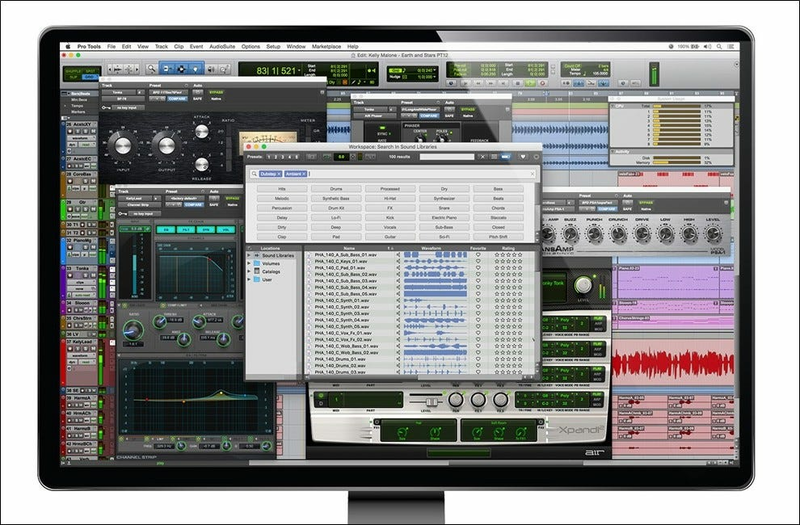 As the choice of professional musicians and producers across the world, it has made a reputation for itself as the premier DAW, and its price reflects that.